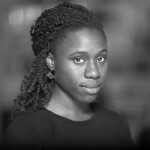 D&S fellow Mimi Onuoha thinks through the implications of the moment of data collection and offers a compact set of reminders for those who work with and think about data. The conceptual, practical, and ethical issues surrounding “big data” and data in general begin at the very moment of data collection. Particularly when the data concern people, not enough attention is paid to the realities entangled within that significant moment and spreading out from it. The point of data collection is a unique site for unpacking change, abuse, unfairness, bias, and potential. We can’t talk about responsible data without talking about the moment when data becomes data.